Drawing Generally involves Making marks on a surface by applying pressure from a tool, or moving a tool across a surface. Common tools are graphite pencils, pen and ink, inked brushes, wax color pencils, crayons, charcoals, pastels, and markers. Digital tools which simulate tools which simulate the effects of these are also used. 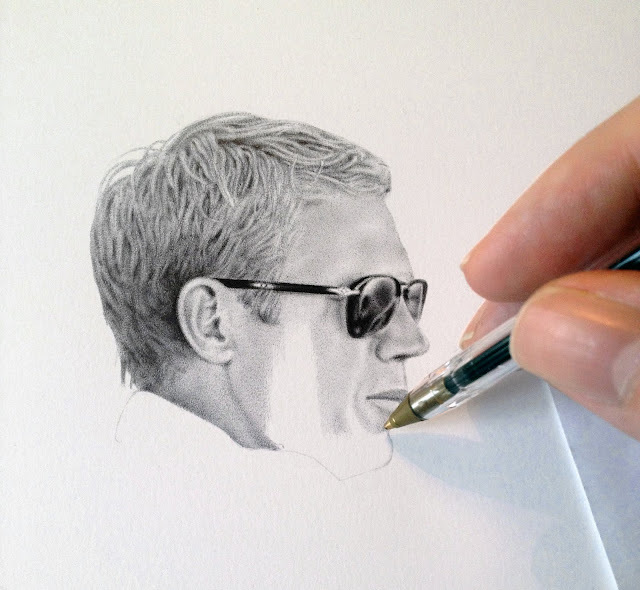 The main techniques used in drawing are the line drawing, hatching, crosshatching, random hatching, scribbling, stippling, blending, and shading. In 1616, astronomer Galileo Galilei explained the changing phases of the moon through his observational telescopic drawings. In 1924, geophysicist Alfred Wegener used illustrations to visually demonstrate the origin of the continents. Drawing is used to express one's creativity and therefore has been prominent in the world of art. Throughout much of history, drawing was regarded as the foundation for artistic practice. Initially, artists used and reused wooden tablets for the production of their drawings. Following the widespread availability of paper in the 14th century, the use of drawing in the arts increased. At this point, drawing was commonly used as a tool for thought and investigation, acting as a study medium whilst artists were preparing for their final pieces of work. The Renaissance brought about a great sophistication in drawing techniques, enabling artists to represent things more realistically than before, and revealing an interest in geometry and philosophy.